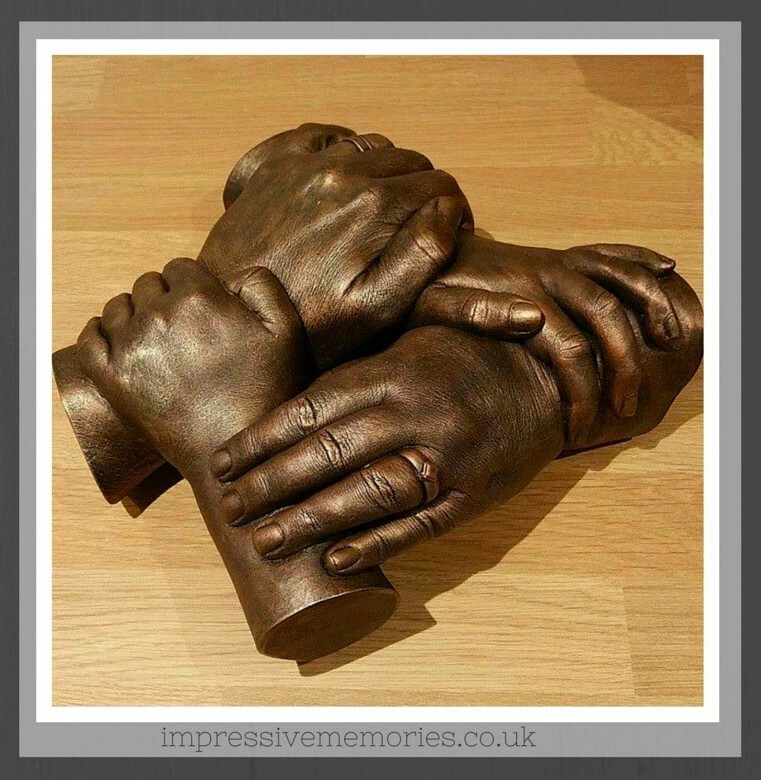 Hand Casting is a beautiful way to capture your Impressive Memories. 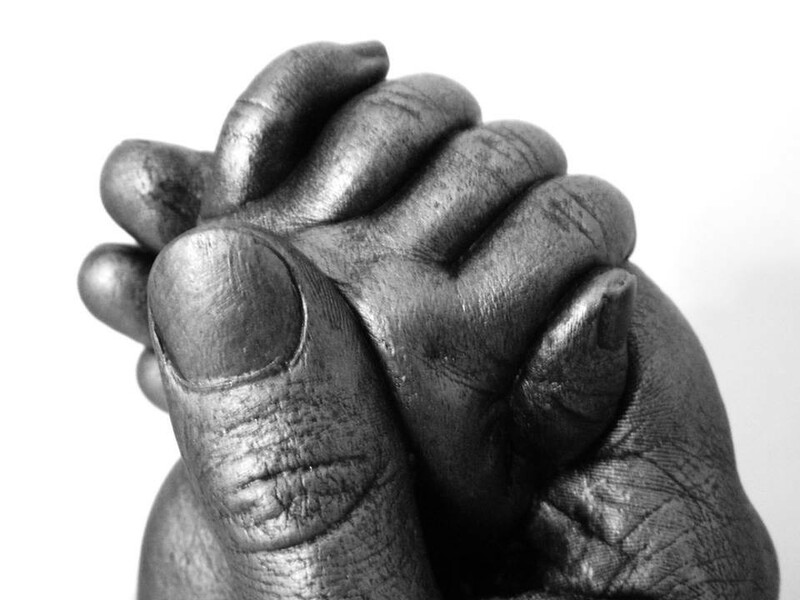 Our hands are instantly recognisable and define us – they are as unique as we are. 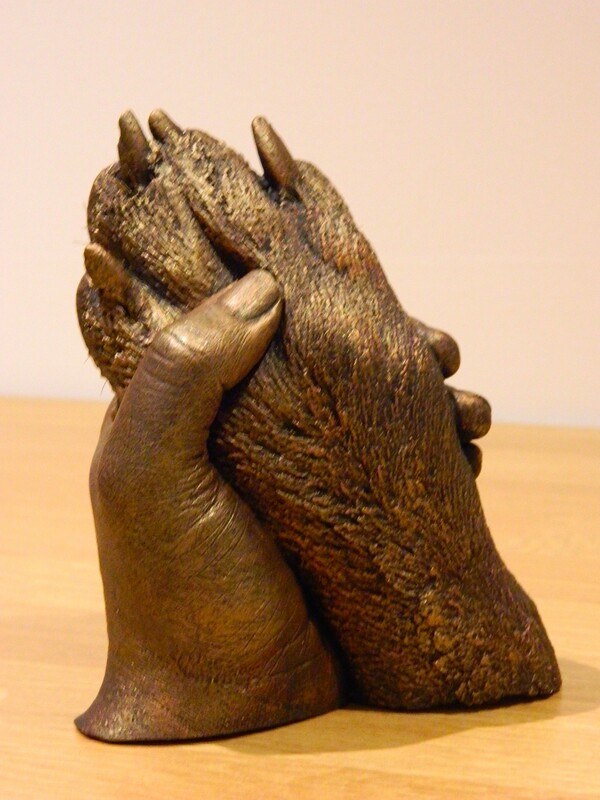 Hand casts can be done individually or in couples, as families, with our pets and I offer a memorial service for bereaved families too. 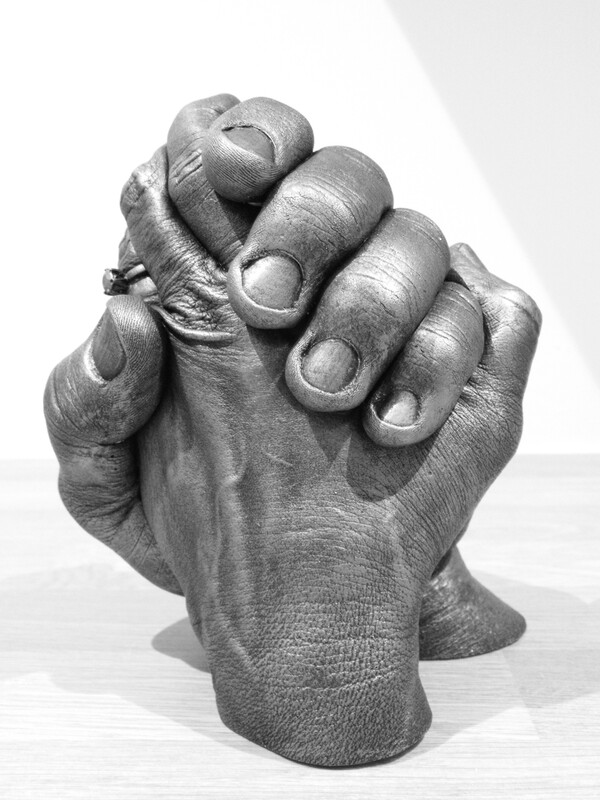 Capturing a hand cast lets you hold onto a memory of an event – an engagement, wedding or anniversary. It can commemorate a birthday or a family milestone, it can represent a pastime or hobby – ballet dancers or sports perhaps. 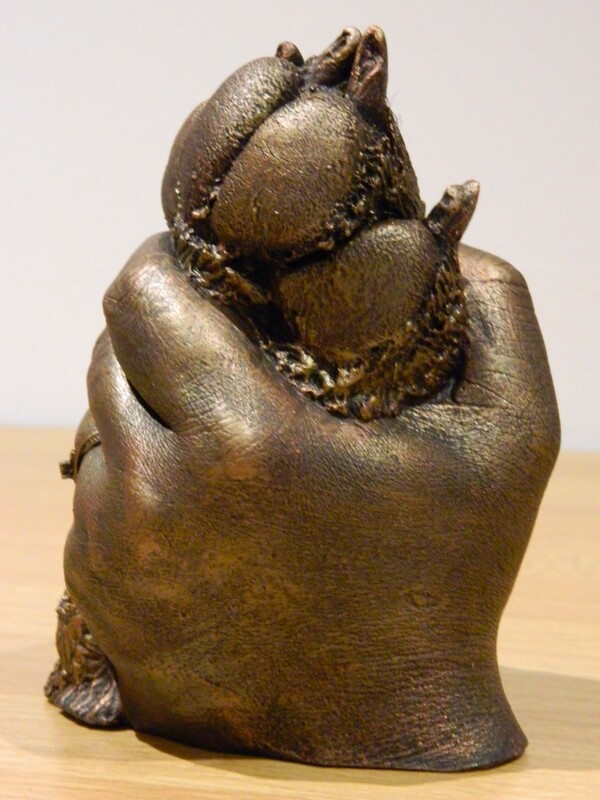 Pets can have their paws cast with you. Find out more about my memorial work here. 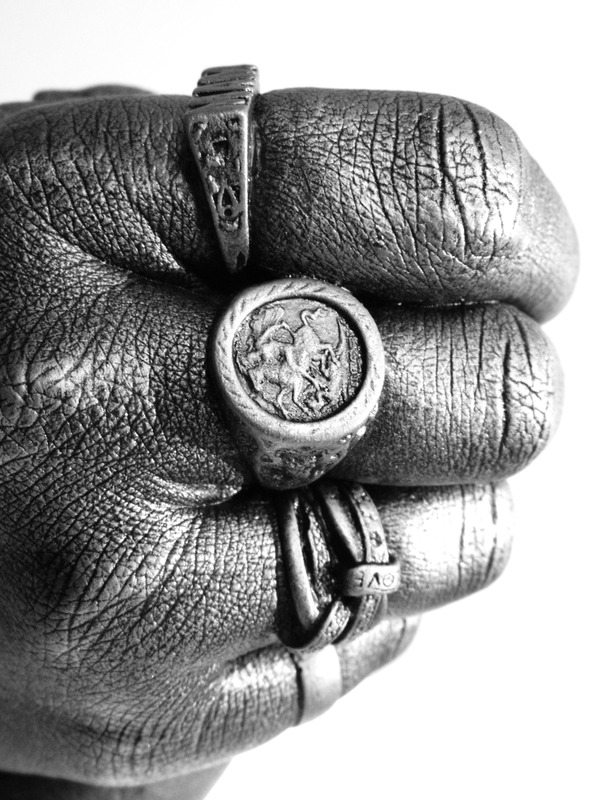 How Much will a Hand Clasp Cost? 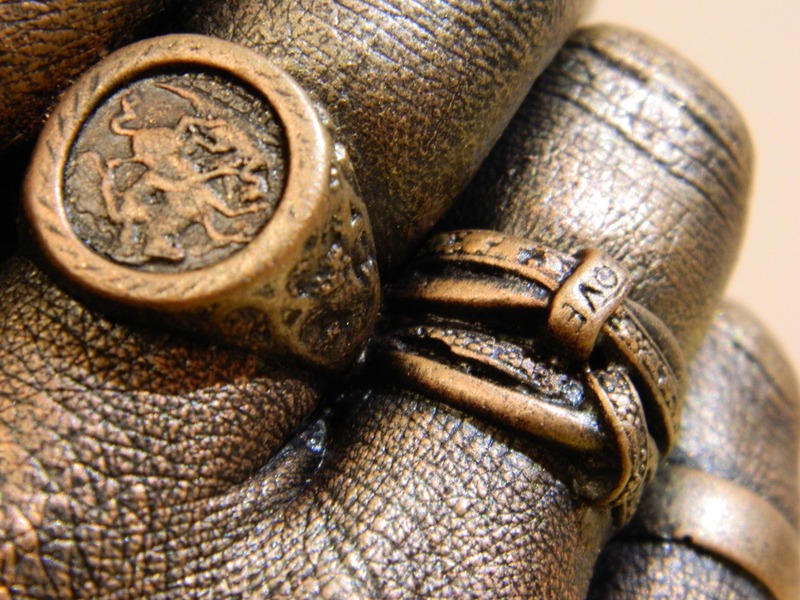 *If you’d like to include jewellery & ornate rings in your cast these will increase your costs. 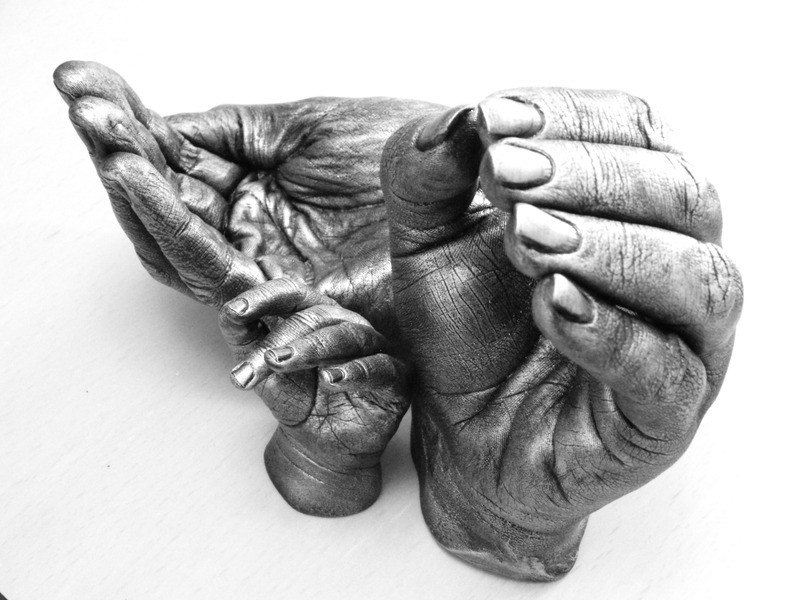 Each cast is unique and the moulding process varies – but it is a quick, fun process. I will spend time explaining the process and discussing the results you are wanting. When we are ready to take the mould you will only be submerged in the product for a matter of minutes. Movement and wriggling are not an issue. After you leave I will complete your cast. This part takes a lot longer than a few minutes!! Depending on the size and style of your cast it will need approx 6-12 weeks to be ready. The larger the cast, the longer it takes. 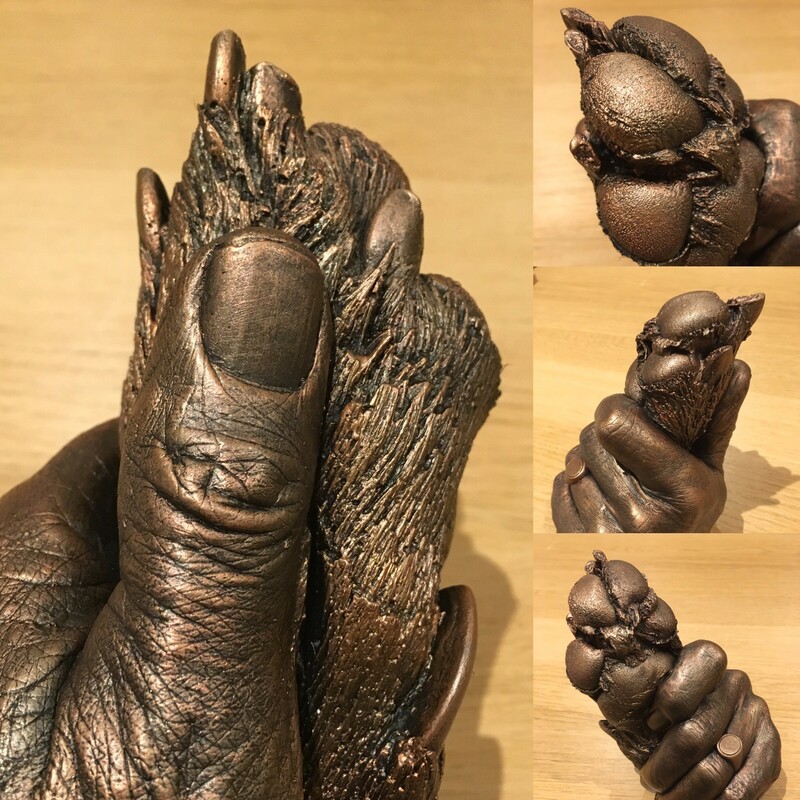 The time spent perfecting and creating your cast is vital to its longevity and because I use very high quality products & insist on high standards, the processes take longer – but the results are evident. As the customer what should I know? You are investing your money. Please consider all the following points before choosing a life caster. Jen, at Impressive Memories, answers are pink! Are they displaying their own work or those of others? “Every image on my website and online are my own work – I never have, or would, steal another artist’s image”. Are they a verified, registered business or a hobbyist? “This is my full-time occupation, registered sole trader with HMRC”. Will my cast last? “Yes, if cared for correctly”. What if I’m not happy with the results? “It has never happened to me, but if you are not happy you can read my Terms and Conditions”. Would you let someone experiment with chemicals and products on your newborn??? I paid someone and now they've disappeared!! Social media is a marvellous thing…but it can be misleading and deceptive. There are no guidelines or governing bodies…nobody checks or verifies any of it. Anyone can set up a business page and claim to be in business. 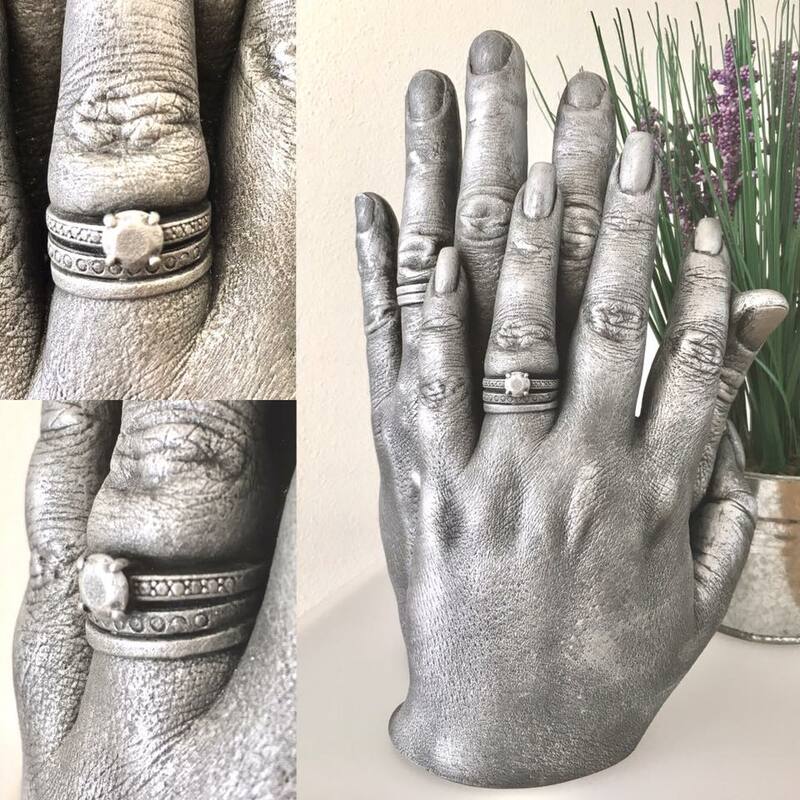 Recently, social media, has brought life casting to the forefront and made it more widely known…unfortunately this also brings along those who THINK they can do it. 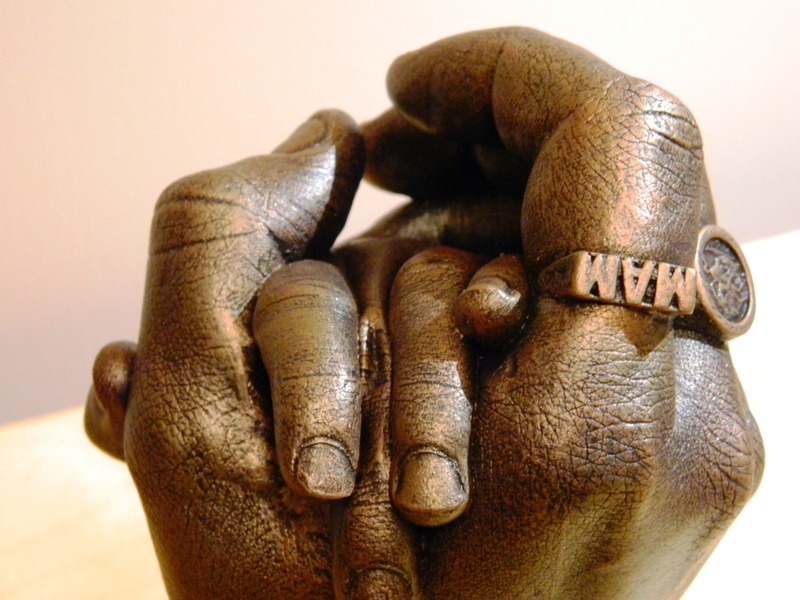 Find an artist – not a hobbyist! Invest in someone who has invested their time & money into their art. Don’t be fooled by Facebook!!! If your cast gets damaged I offer a full repair/reframing service. This is another consideration to make when choosing who casts for you…do they have the skills needed to repair? Are you ready to make a booking and capture YOUR Impressive Memories? Head on over to my online booking system, select a date and time that suits you best. Fill in your details, pay your deposit and I look forward to meeting you soon!! Becoming your very own work of art! Impressive Memories studio is based in Pitcairn, Glenrothes, in Fife, Scotland. With off street parking and easy access, you are very welcome to make a booking and come along to capture YOUR impressive memories. Pets are welcome too and with a surrounding of woodland walks they can enjoy their memorable day too! Do I need to travel to you? If you would like lifecasting done then I have to meet with you (or the person I’ve to cast) in person. If you would be interested in a home visit or would like me to travel to you, this could be arranged. Please contact me to discuss. I'm ready to book my Impressive Experience! 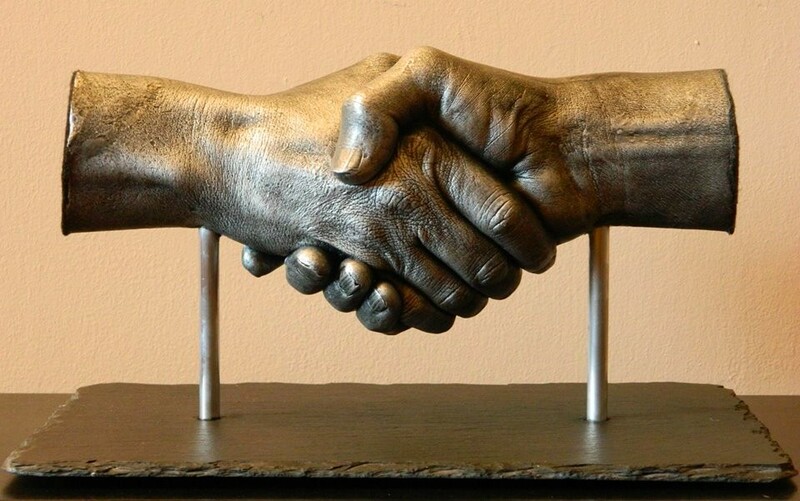 A father & son handshake is a family talking point, capturing more than words can say. How can I can't afford this? All payments are split. When you book I ask for a £15 deposit to secure your chosen date and time. This is deducted from your order on the day of casting. You are welcome to pay half your order total at the appointment and the balance on collection. For larger castings collection will definitely be longer than 4 weeks time, usually 6-8 weeks minimum. Giving you plenty time to budget for your Impressive purchase. Impressive Memories accepts cash, debit cards, most credit cards & PayPal. A popular choice to create a family memory, a future heirloom – a work of art created by those who mean the most to you. Capturing a moment in time – it can include children, parents and grandparents alike. Any combination, any generations…who do you want to capture in your Impressive Memories? More than 5 people? Please get in touch and have a chat to find out about prices.